Tax season is here and if you’re one of the lucky ones, you’ve got a generous refund check coming your way. While it may be tempting to treat yourself to a much-needed vacation or shopping spree with the extra money in your pocket, utilizing your tax return to help you get ahead or catch up on your finances may be a better decision for you and wallet. If you do decide to take a more financially friendly route, we’ve got some tips for you below to help make the best use of your refund. Our #1 tip for those wanting to utilize their tax refund for financial gain would be to pay down any debt you already have. If you’ve got multiple areas of debt, start with focusing on the debt that is causing you the most financial strain, like credit cards with high-interest rates. Even if you can’t pay your balance in full, making a large payment will feel great and help you make a leap toward a debt-free life. If you don’t already have a savings account, now is a great time to begin building one by using your refund money as a solid foundation. If you do already have a savings account (or two) with a specific purpose in mind such as saving to buy a home, a car, or for your dream vacation, using your tax refund to make a substantial contribution toward that goal is always a good idea. Are you currently saving up to buy your first home? If so, why not utilize your tax refund to get ahead on your down payment? If you’ve already got your down payment covered, you can always put the money towards closing costs or for furnishing your new place. Already a homeowner? Why not look for ways to increase your home’s value like using the extra cash to complete a home improvement project or upgrade an old appliance. A “rainy day” fund is a reserved amount of money intentionally created and set aside for unplanned emergencies, life events, or disturbances in your regular income. If you do not already have one of these “rainy day” or emergency funds set aside, using your tax refund to create one is a great idea. While it may not be the most exciting place to invest your money, having this designated account set aside as cushion can help save you from financial distress caused by an unexpected life event in the future. Hey, as long as you are not in a state of financial distress, there’s no harm in taking that vacation! With as many travel saving sites as there are out there today, chances are, you’ll be able to find a great deal and enjoy the reward of a well-deserved getaway after a year of hard work. With the advancements that have been made in technology in just the past decade, there are many new ways to incorporate faster, more efficient, and cost-effective solutions to everyday tasks and problems. One big trend that we are seeing right now is home automation, or “smart homes.” With the help of technology, today you can make the functions in your home almost entirely automated or controllable from a smartphone or tablet. 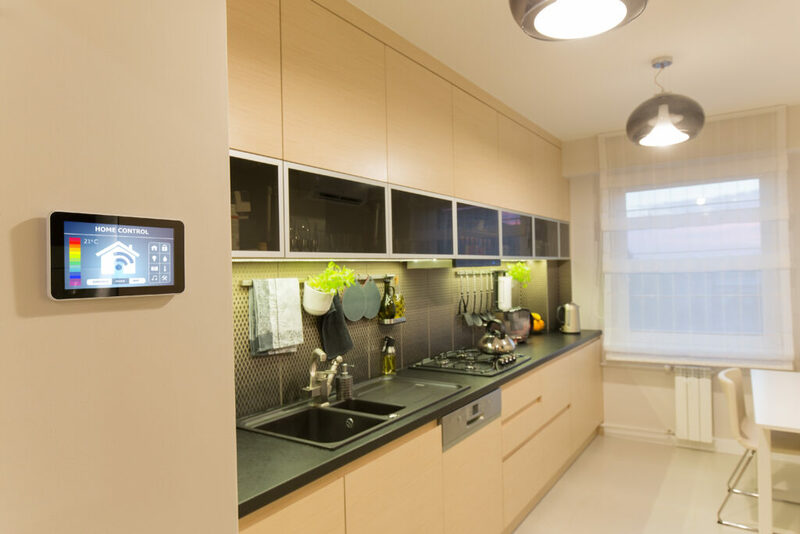 What exactly are the benefits of home automation? What are the capabilities of a smart home? Thermostat: You can have the ability to control your thermostat even when you are not home. By adjusting the temperature when you are not home, you save on heating and cooling costs. Security: With a smart home, you won’t need to be paranoid about whether you remembered to lock the doors to your home. Your smart home system can tell you if your doors are locked or unlocked. Also, with some advanced systems, you can trigger lights and television sets to turn on while you are out of town to give the appearance that someone is home. Lighting: Some smart home systems have an “all off” button to help easily turn off every light in your home at once. Sensors can also trigger lights to turn on when motion is detected outside of your home. Television: You can combine all of your remotes into one by using your smart home app on your tablet or phone. You can even set a sequence to dim the lights, adjust the room temperature, and start a movie with one click of a button. Communication: You can send messages room-to-room through the television or to visitors through a touch screen outside of your home. You can also get notified if there is a leak in your basement or even when the kids make it home from school. There are many options and benefits to making your home smarter and even the smallest steps could save you a considerable amount of money in the long run. Here are some of the best smart home devices you can implement in your home. • Cost. Growing your own fruits, veggies, and herbs will help you save money at the grocery store. • Nutrition. Produce from a store can lack in nutrients because of the journey it had to take to get there. Growing your own produce means you will be eating it when it’s the freshest and at its full nutritional value. • Organic. Having your own garden means you have full control over the amount and type of pesticides used. If you’d like, you can make it completely organic (natural pesticides or completely pesticide-free), which makes your produce healthier. • Healthy children. When children are involved in the gardening process, it can make them feel excited to eat their fruits and veggies knowing they had a hand in growing them. This helps them build healthy eating habits while they’re young and ensures they are getting the nutrition they need for healthy growth. These are just some of the benefits of growing your own produce. 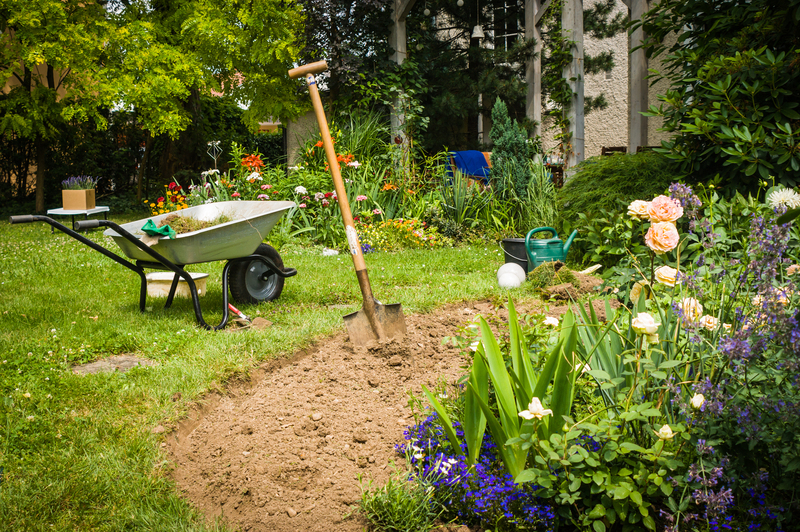 Here are some tips for starting/maintaining your garden. 1.) When laying down soil, give your plants a significant amount of space to grow in and absorb nutrients from. 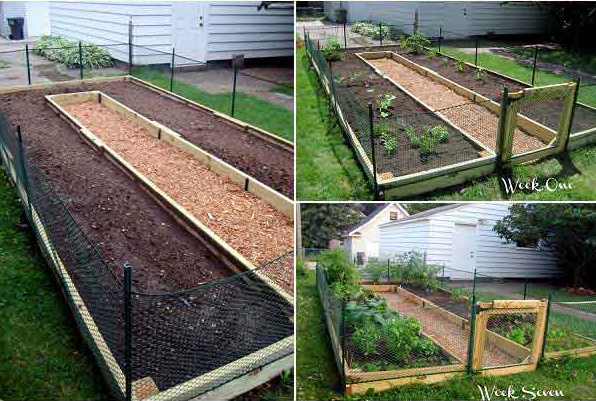 Create raised garden beds out of wood to ensure there is enough fertile soil to give your plants nutrients. 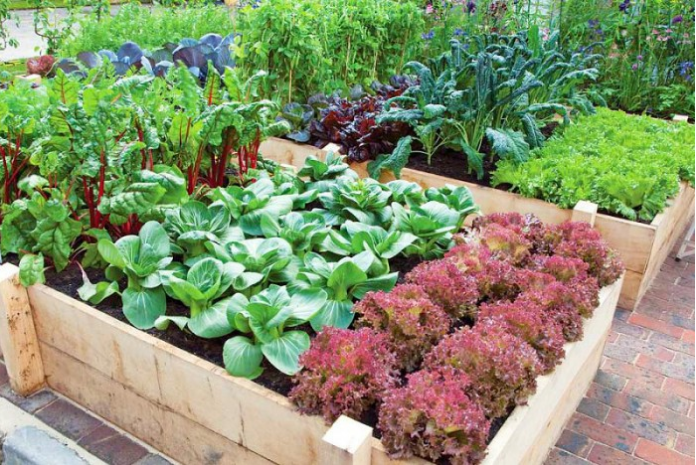 A raised bed should be rich in organic matter like aged manure, compost, or vermicomposting. If the soil does not drain well, add perlite or sand. 2.) 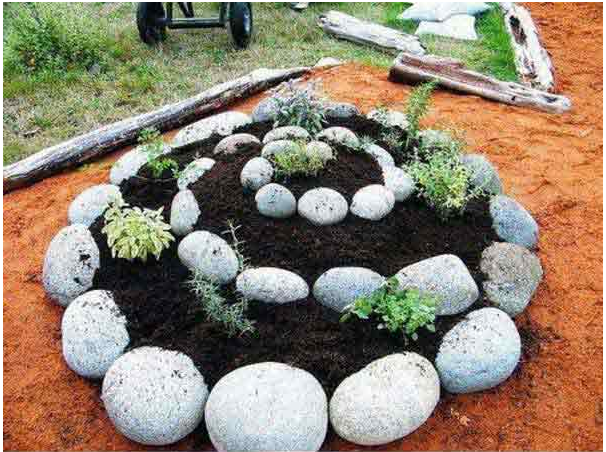 Consider spiral or U-Shape gardening. 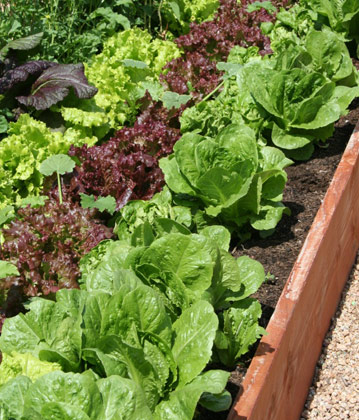 These types of beds are great if you have limited space to plant your fruits, veggies, or herbs! 3.) 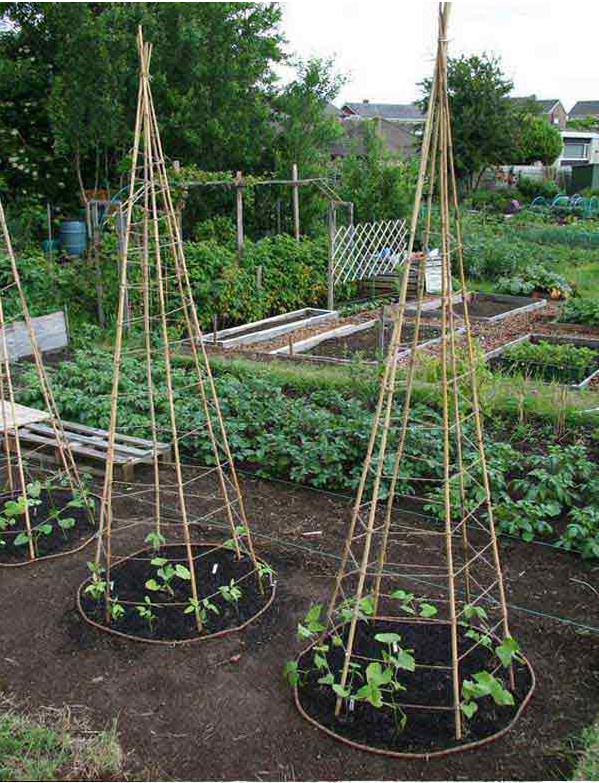 If you are planting peas, build trellises (like these teepee-shaped structures) to make harvesting and maintaining your peas easier. 4.) 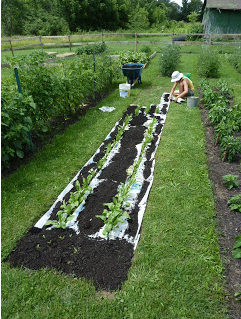 Lay sheets of newspaper around plants before putting down mulch. The newspaper will help ensure that weeds and grass can’t come up. 5.) When picking a spot to start your garden, choose a spot that gets at least 6 hours of sunlight per day. 6.) The sooner you start planting your garden the sooner you will have a garden full of vegetables and fruit. Spring is an optimal time for starting, but the weather isn’t always the best. 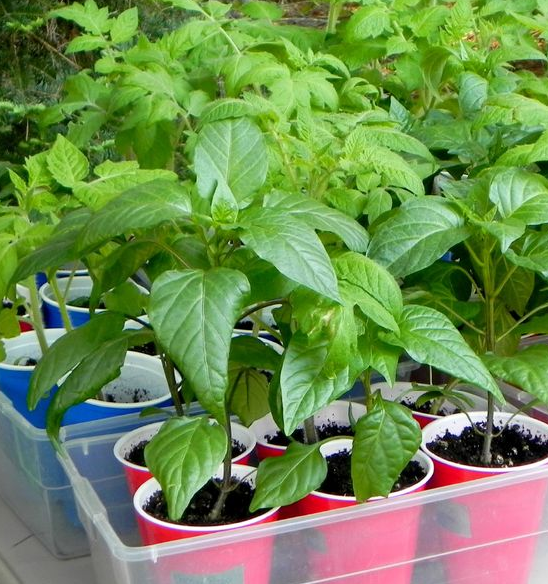 Start by planting indoors and then transplant them to your garden when the weather improves. Use this growth calendar to help create your planting timeline. 7.) 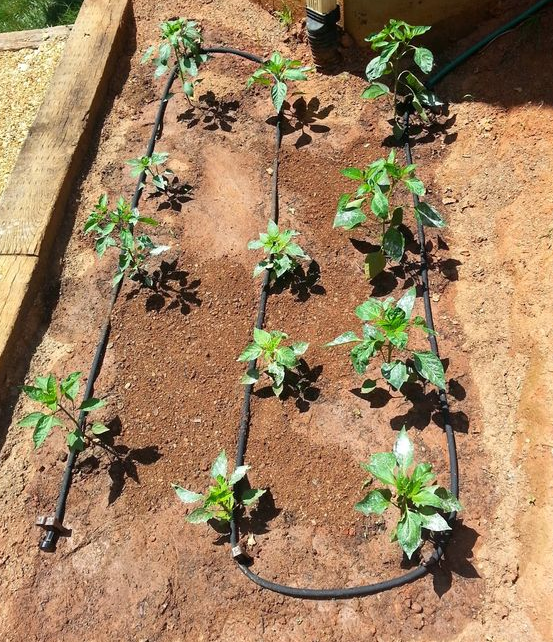 The most efficient way of watering plants in the garden is by using soaker hoses and drip lines. These watering systems deliver water directly to where it is needed and allows time for roots to absorb water. Generally, one inch of water per week, including rainfall, is sufficient for most vegetables, depending on the type of soil, weather, and plant. Labor Day, or originally referred to as “the workingmen’s holiday”, can first be traced back to a parade in New York City on Tuesday, September 5th, 1882. In a time where working conditions were far from great and employees were fed up, Congress could see tensions rising and moved forward with passing a piece of legislation that made the first Monday of every September a day to recognize workers. The holiday originally included street parades followed by a festival, as well as speeches from prominent speakers. The holiday has since changed in some ways, but the meaning behind it still remains to this day. It is a day to celebrate working men and women and give them a well-deserved break. So, take the time to relax this Labor Day weekend—you’ve earned it. Need some ideas to unwind? 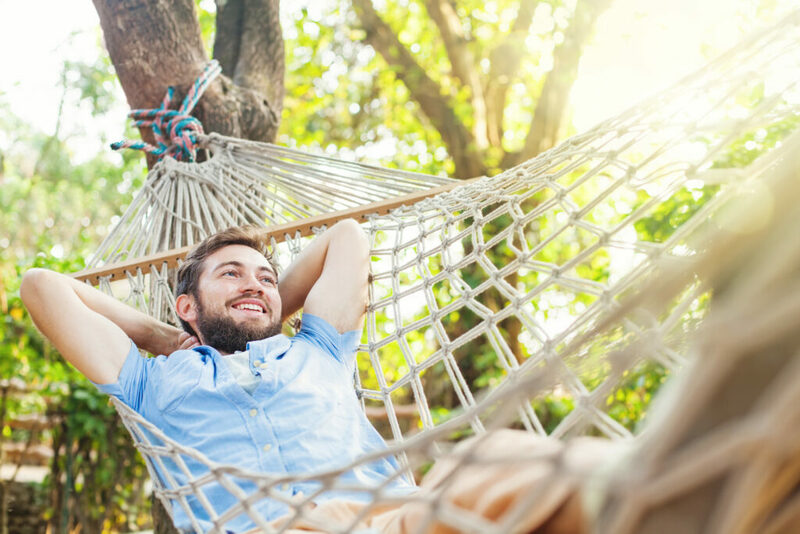 Here are some relaxation tips you can take with you even after Labor Day is done. If you know a certain time of year is busier for you, then do not choose that time of year to take off. Instead, consider scheduling time after your busy season to take a vacation. Many people find it hard to disconnect in today’s world, but it can be very fulfilling and destressing to shut your electronics down and live in the moment. Exercise is a proven stress reliever. If you don’t necessarily like regular cardio or weights, try yoga! Yoga is a great way to relax and get a good workout at the same time. When people think of yoga, meditation is something else that can come to mind. Try meditation exercises when you are overly stressed. Fresh air and sunshine are great ways to instantly make your stress melt away. Take a break during the day to sit outside and enjoy the warm weather! Believe it or not, some people can greatly reduce stress with aromatherapy. Invest in some essential oils. Try them with a diffuser or simply put some on your wrists. Lavender, rosemary, and clary sage are just three essential oils that are said to help relieve stress. Headquartered in Pewaukee, Wis., Inlanta Mortgage was established in 1993. The company has grown to 35 branches in 16 states and over 240 employees. Inlanta Mortgage offers Fannie Mae/Freddie Mac agency products, as well as jumbo and portfolio programs. The company is an agency approved lender for Freddie Mac, Fannie Mae, FHA/VA, FHA 203K and USDA. Inlanta Mortgage also offers numerous state bond agency programs. In 2016, Inlanta Mortgage was recently named a Top Workplace for a third consecutive year. Inlanta has been recognized as a Top Mortgage Employer by National Mortgage Professional and a Top 100 Mortgage Banking Company and 100 Best Mortgage Companies to Work For by Mortgage Executive Magazine. Inlanta has also received the Platinum Million Dollar USDA Lender Award. 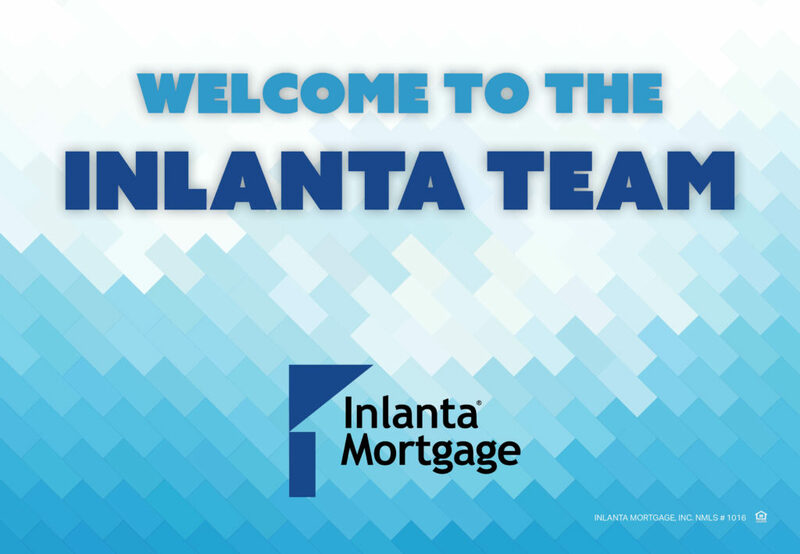 Inlanta Mortgage continues to expand its branch network and encourages ethical lending professionals to learn more about our support platform and discover how an Inlanta branch partnership with Inlanta Mortgage is essential to long-term success. Locate an Inlanta Mortgage loan officer at www.inlanta.com/locations. For current employment opportunities, visit www.inlanta.com/join-our-team/employment-opportunities. Learn more about Inlanta Mortgage branch partnership opportunities at www.inlantapartners.com, call 262-439-4260, or email partners@inlanta.com. Inlanta Mortgage, Inc. NMLS #1016. It is that time of year again! Time to bust out the new backpacks, get your school supplies together, and begin a brand new school year. 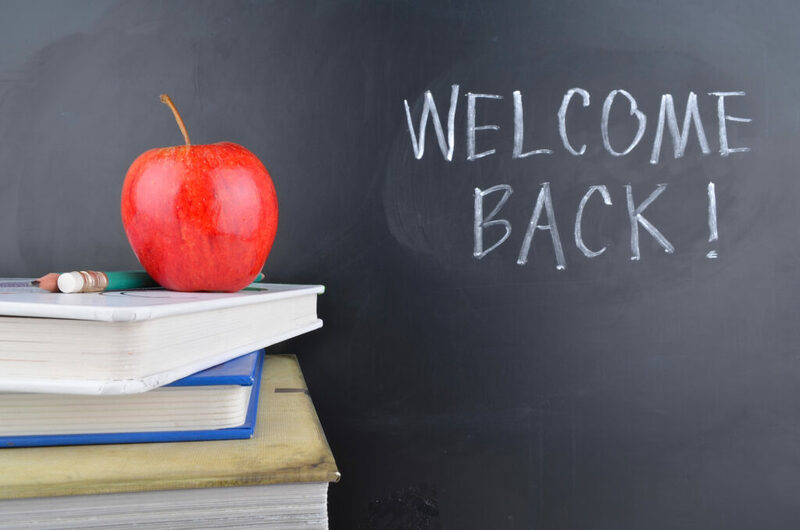 If you are looking for ways to start the year off right, here are some helpful tips to keep in mind when heading back to school! In addition to going to bed at a decent time (7-8 hours of sleep is recommended), your environment plays a key role in the quality of your sleep. Choose a blanket that keeps you warm so that you are less likely to wake up in the middle of the night from being cold. You will also want to make sure you are sleeping in total darkness. Turn off screens when you lay down to go to bed. Looking at your phone or watching TV keeps your mind stimulated which can keep you awake longer. This way you will be more motivated to get up in the morning knowing you won’t have a boring breakfast! By putting your alarm across the room, the chances of you hitting snooze and going back to bed are significantly less. Once you are out of bed, you likely won’t be going back to sleep. Instead of digging through your phone or pulling out a printed sheet of paper, setting your schedule as your lock screen gives you easy access to where you are supposed to be and when. This can be especially helpful for the first week or so of school. When you complete each task, you can take the Post-It off of your calendar. This provides a sense of accomplishment since your list is getting smaller. This tip can be useful for work or school! Using colorful pens and highlighters can help you stay more organized when writing notes or reading. Anything highlighted or written in the same color pertain to one another, making it easy to distinguish subject matter when looking back at your materials. Treating yourself when you reach a goal can be very effective when studying. Your treat could be anything from your favorite candy or snack to playing your favorite game, or even just some time to browse social media. Choose something that you enjoy to keep yourself motivated. Set your phone alarms to indicate when to study and when to take a break. Taking breaks while studying can ultimately help you study longer since you are not overloading your brain with information non-stop. Regular exercise is proven to give you more energy throughout the day and increase brain function. Even small amounts each day can make a difference. When you get home, re-write your notes from that day to help increase the chances of you remembering the content. Go over those same notes a week later and highlight key points for even further memory retention. Skip the regular old Google search and use Google Scholar to find more accurate and relevant information if you are doing research for a project or paper. On this search engine, you can also keep track of your citations as you go. So, if you are looking to start the year off on the right foot, think about adding some of these tips to your routine! Our mission is to be the home financing partner that you trust to serve your family, friends, and community. Through our family of dedicated mortgage professionals, our commitment is to deliver an exceptional experience. Our unwavering dedication to integrity, honesty, and ethics is the foundation of all of our relationships. Inlanta is the second largest mortgage financing provider in the greater Milwaukee area. As a result of our growing business, we are excited to announce that we will be relocating our corporate office to the Jannsen Center in Pewaukee, Wis. to accommodate our expanding operations and administrative staff. “We have experienced consistent and steady growth over the last several years. This year has pushed us to capacity in our current location,” said Nicholas DelTorto, our President and CEO. “The new office will support our continued growth and expansion as we continue to achieve sales volume of record highs. I am extremely proud of our company and the service we provide to our referral customers, consumers, and the communities we serve. The building is located at the intersection of Highway 164 and Capitol Drive. All employees’ email addresses and phone numbers will remain the same. 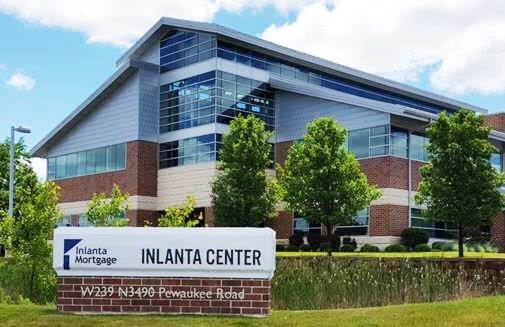 Inlanta continues to expand, now operating 16 offices in the state of Wisconsin alone, and a total of 35 offices in 9 states. Our corporate office is currently looking to hire talented underwriters, processors, closers, and an account executive. For more information on all of our current job openings, including positions at our branches, visit www.inlanta.com/join-our-team/employment-opportunities. If you are a loan officer looking to make a move and you would like more information on Inlanta branch partnerships, contact Inlanta Mortgage’s Business Development Team at 262-439-4260 or email partners@inlanta.com. Headquartered in Brookfield, Wis., Inlanta Mortgage was established in 1993. The company has grown to 35 branches in 16 states and over 240 employees. Inlanta Mortgage offers Fannie Mae/Freddie Mac agency products, as well as jumbo and portfolio programs. The company is an agency approved lender for Freddie Mac, Fannie Mae, FHA/VA, FHA 203K and USDA. Inlanta Mortgage also offers numerous state bond agency programs. Inlanta Mortgage was recently named a Top Workplace for a third time in 2016. Inlanta has also received the Platinum Million Dollar USDA Lender Award and has been recognized as a Top Mortgage Employer by National Mortgage Professional and a Top 100 Mortgage Banking Company and 100 Best Mortgage Companies to Work For by Mortgage Executive Magazine. Welcome Aboard New Inlanta Employees! Our company’s continued growth, coupled with the increased activity of the spring/summer home buying season, has paved the way for Inlanta to welcome 50+ new team members since January 2016. New hires include loan officers, processors and various administrative positions at our corporate office in Brookfield as well as several branch offices. In addition to the new team members at corporate, several branches have expanded as well. Wisconsin – Brookfield North, Loan Officer Assistant, Alysha McClure; Green Bay, Processor, Jessica Biwer; Greenfield, Loan Officer Assistant, Debra Verhyen; Processor, Danica Cochrane; Loan Officer, Amanda Lipski & Rebecca Vos; Janesville, Marketing Assistant, Brady March; Hales Corners, Receptionist, Amanda Dales; Madison – Junction Rd., Processor, Tara Feick; Madison – Marketplace Dr., Loan Officer Assistant, Tyler Lentz; Minocqua, Loan Officer, Herbert Lessmiller; Loan Officer Assistant, Mary Ann Wegner; Pewaukee, Intern, Kailey Snyder. Click here for more information on job opportunities at Inlanta Mortgage. People often make the mistake of thinking that creating an inviting outdoor environment is always extremely expensive and a lot of work. Even the littlest things can make the outside of your home more inviting. Here are some ideas to make your outdoor area a retreat. Create posts to hold hanging flowers or lamps. This simple addition can be done many ways, but it can make a great difference. Good lighting and small decorative touches can instantly transform your outdoor area into a unique & inviting living space. Add a fire pit and bench to your outdoor seating area. Cozying up next to a blazing fire in your own backyard fire pit can make those cool summer and fall nights even better. 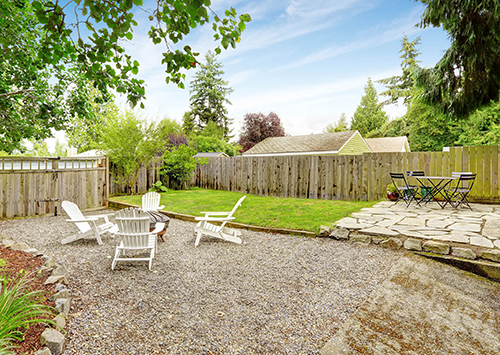 Skip the portable fire pit and plastic chairs that you have to put back in storage every winter, and trade up to this exceptional bonfire area that everyone is sure to love! Add black mulch and/or a stone path to spice up your outdoor curb appeal. The contrast of this black mulch with some stone and plants really makes the landscaping around your house pop! Your house will surely stand out with this amazing addition. Use reclaimed wood to add a walkway from your patio or driveway to your yard. This is a simple yet inviting thing you can do that is sure to get noticed. Repurposing wood can help keep your costs down and is environmentally friendly, so you can feel good about making this upgrade to your outdoor space! Add rope lights to your outdoor space. When it comes to creating a trendy, eye-catching backyard or outdoor area, simply adding unique lighting, such as rope lights, can have a great impact. Line your walkway with rope lights or add them to your deck railings to create a dynamic effect. Doing this has two benefits: not only does it look great, but you also have fresh herbs to make a fantastic meal. Fresh herbs make all the difference when it comes to cooking. You can plant them in small pots and continue growing them inside in the winter, or you can pick the remaining herbs and dry them out. Turn a Pallet into a flower planter. Pallets have become a versatile material for many DIYers. If you need to spruce up your curb appeal, consider using them to create planters for your flowers. The pin below is one of our favorite ideas. Make your own outdoor furniture with just some pallets, paint, and cushions. Outdoor furniture can be pretty pricy. Here is another creative way to use pallets to spruce up your curb appeal. Outdoor couches and sectionals provide a great seating area that is different from your average table and chairs. Create sensational tiki torches out of old wine bottles. Tiki torches are an extremely popular outdoor staple. Instead of buying the standard torches from the store, kick it up a notch by creating your own. Use glass jars or bottles that reflect your personality to add a little more character to your torches. Use faux stone to make the exterior of your home more appealing. Skip the expensive aesthetic projects on the outside of your home. Putting in real stone can be extremely expensive and more than likely cannot be done on your own. This fake stone looks just like the real thing and makes your home’s exterior look ten times better! It doesn’t take much to spruce up your curb appeal. Even on a small budget, a little time and ingenuity can transform your outdoor space into a place where you will love to spend your time. Like our suggestions and want more project ideas? Follow us on Pinterest! Headquartered in Brookfield, Wisconsin, Inlanta Mortgage is a growing mortgage banking firm committed to quality mortgage lending, ethical operations, and strong customer service. Inlanta Mortgage offers Fannie Mae/Freddie Mac agency products, as well as a full suite of jumbo and portfolio programs. The company is an agency approved lender for Freddie Mac and Fannie Mae, FHA/VA, FHA 203K and USDA. Inlanta Mortgage also offers numerous state bond agency programs. Review Inlanta’s mortgage loan programs. Inlanta Mortgage was recently named a Top Workplace for the third consecutive year in 2016. Inlanta has also received the Platinum Million Dollar USDA Lender Award and has been recognized as a Top Mortgage Employer by National Mortgage Professional and a Top 100 Mortgage Banking Company and 100 Best Mortgage Companies to Work For by Mortgage Executive Magazine. What home improvement project do you currently have in the works or plan on starting? Let Inlanta Mortgage help you get started! During the month of June, send us a photo of your current project, and then share the Inlanta Home Improvement Photo Contest to have your friends and family vote for you! Two winners will be selected based on the photos with the most votes, and each winner will receive a $100 gift card to the DIY store of their choice. Will you be the lucky winner? Enter below for your chance to win! Home Maintenance – Why is it Important? Home maintenance is a sore spot for many homeowners. The amount of effort and money that goes into keeping a home in good condition can leave many homeowners feeling drained and unmotivated. If this is you, remember that owning a house as an investment. Treating your house well can lead to a higher home value when you are ready to sell, which may result in more money in your pocket to purchase a more expensive home or to use towards renovating a new home. Taking the time to maintain your home now will also help prevent larger and more costly repairs in the future, saving you time, money, and frustration. And of course, if you maintain your home now, you can rest easy at night knowing your family is safe from any potential hazards. While doing your spring cleaning, consider the following tips to get your home back into shape after the winter season. Want these in a PDF form so you can cross off tasks as you go? Download a printable Indoor & Outdoor Checklist here. If you would rather have a checklist for the full year, you may download a printable Full Maintenance Checklist here. Headquartered in Brookfield, Wisconsin, Inlanta Mortgage is a growing mortgage banking firm committed to quality mortgage lending, ethical operations and strong customer service. Inlanta Mortgage was recently named a Top Workplace for a third time in 2015. Inlanta has also received the Platinum Million Dollar USDA Lender Award and has been recognized as a Top Mortgage Employer by National Mortgage Professional and a Top 100 Mortgage Banking Company and 100 Best Mortgage Companies to Work For by Mortgage Executive Magazine. © 2019 Inlanta Mortgage, Inc. – Loans For Your Dreams® All Rights Reserved.